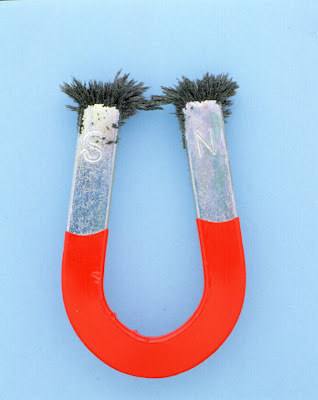 When I asked Merrick what he'd like to learn about when we homeschool, his very first response was, "Magnets!" He also said, "reflexing," meaning, reflection. He really likes the fact that if he is in the car and holding a CD, the sun will reflect off the CD and make a rainbow on the ceiling. Maybe we can do a unit on the sun and talk more about this. Magnet Printables and Coloring Page - includes crossword puzzles, word searches, etc. For upper elementary mostly, but there is a coloring page that would be kinder appropriate. I also found an entire unit study for kindergarteners in pdf form. It's saved on the downstairs computer in the desktop/homeschooling folder. Very cool Leslie! Love you!